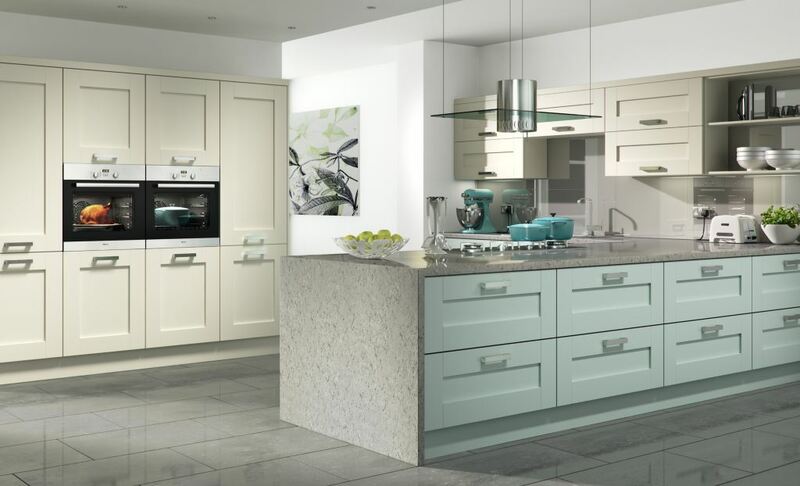 The Windsor shaker painted kitchen is a 5 piece, 22mm thick MDF wrapped door in 0.4mm Alkorcel (an open grained, planked Ash-effect foil) that is overpainted. Grain structure will be less visible on a painted finish than an ivory finish. 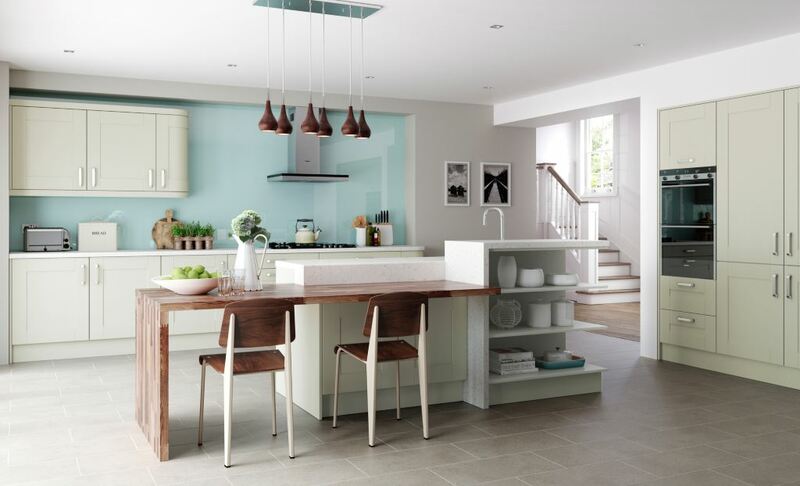 The Windosr shaker is also available in the stock colours of ivory and mussel.